We love to sing and perform! 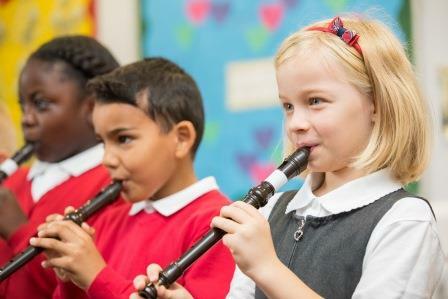 At St Mary’s primary school children are taught music by a music specialist every week. 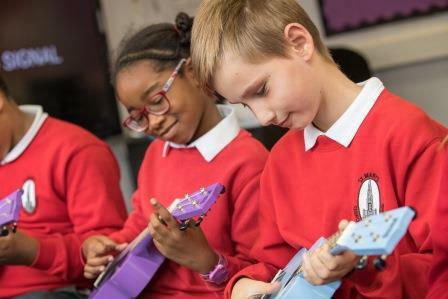 We also provide additional music provision and opportunities. Nursery-Singing together and exploring classroom instruments, focusing on action songs and fairy stories. Reception and Year 1 Exploring pulse, pitch, rhythms and scores using classroom instruments and our voices. Year 2 and 3 Developing our performance, notation reading and listening skills through playing the recorder. Year 4 Performing as a class orchestra through playing a range of music including Samba, Blues and Salsa using classroom instruments. Year 5 Developing our performance, notation reading and listening skills through playing the ukulele. Year 6 Focusing on composition through using ICT to create work including songs and film music. Pupils can also take part in choir and drumming club. Pupils from some classes and groups will also have the opportunity to take part in events outside of school including the Hackney choir festival Hackney Children’s Choir.